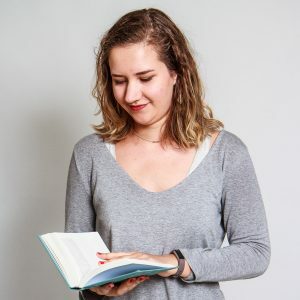 I had a little trouble thinking of a book to review this month, mostly because I have been reading either self-help style books or the small penguin classics, both of which I don’t feel like reviewing. So I went to my Goodreads page and scrolled through my ‘read’ list and found ‘Aristotle and Dante Discover the Secrets of the Universe’. I haven’t reviewed this book yet, even though I think it is one of my favorites! The book is about Aristotle and Dante, two teenagers in El Paso, Texas. The book is written from Aristotles (Ari) point of view. His brother is in prison and his relationship with his parents is difficult. He is a bit of a loner and he can’t swim. So one day in the summer he is at the pool where he meets Dante, who can swim. They are complete opposites, but Dante also does not really have any friends and so they start hanging out together. 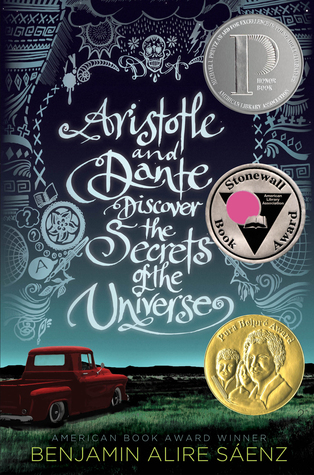 ‘Aristotle and Dante Discover the Secrets of the Universe’ is definitely a coming of age story. As I mentioned at the start, this book is one of my favorites. I really enjoy the writing style. The main character is very calm and portrayed very realistically written. The story develops slowly, but steadily and a lot happens even though it does not always seem like it. The book also had a couple of unexpected turns, which I really enjoyed and even though the ending revelation seems obvious I still did not see it coming. So if you are looking for a book to make you cry (sad and happy) then I would say: Go get it! PS If you want to know what I am reading now, add me on goodreads!